On March 6, 1857, in the case of Dred Scott v. John Sanford, United States Supreme Court Chief Justice Roger B. Taney ruled that African Americans were not and could not be citizens. Taney wrote that the Founders' words in the Declaration of Independence, “all men were created equal,” were never intended to apply to blacks. Blacks could not vote, travel, or even fall in love and marry of their own free will — rights granted, according to the Declaration, by God to all. It was the culmination of ten years of court battles — Dred Scott's fight to live and be recognized as a free man. The High Court's decision went even further, declaring laws that restricted slavery in new states or sought to keep a balance between free and slave states, such as the Missouri Compromise, were unconstitutional. In essence, Black Americans, regardless of where they lived, were believed to be nothing more than commodities. The Taney court was dominated by pro-slavery judges from the South. Of the nine, seven judges had been appointed by pro-slavery Presidents — five, in fact, came from slave-holding families. The decision was viewed by many as a victory for the Southern “Slavocracy,” and a symbol of the power the South had over the highest court. The dramatic ripple effect of Dred Scott — a ruling historians widely agree was one of the worst racially-based decisions ever handed down by the United States Supreme Court — reached across the states and territories. It sent shivers through the North and the free African-American community. Technically, no black was free of re-enslavement. Roger Brooke Taney (1777-1864), c. 1857. Free Blacks, many of whom had been in Northern states for years, once again lived in fear of being hunted down and taken back to the South in servitude. Southern slave laws allowed marshals to travel north in search of escaped slaves. The ruling was such a concern to Free Blacks, that many seriously considered leaving the United States for Canada or Liberia. The decision played a role in propelling Abraham Lincoln — an outspoken anti-slavery voice — into the White House. The slavery issue had already created a turbulent, volatile atmosphere throughout the nation. 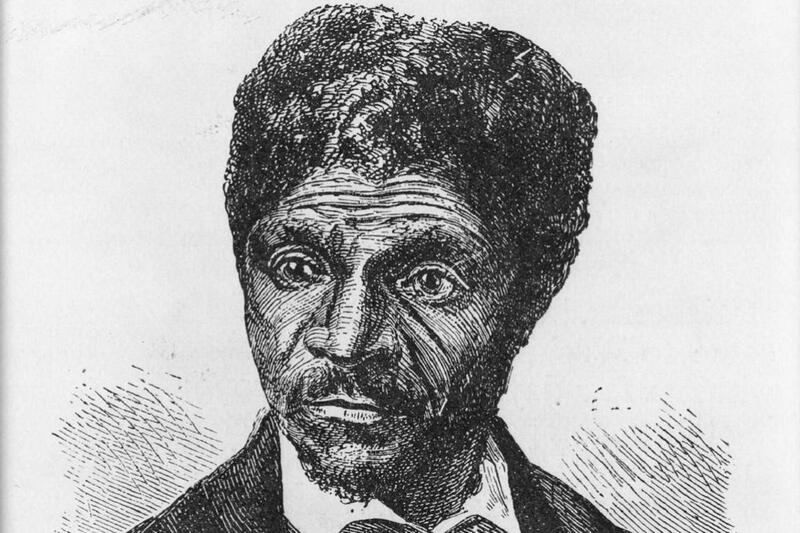 Dred Scott, like kerosene tossed onto a simmering fire, played a significant role in igniting the Civil War. The North became ready to combat what it viewed as the South's disproportionate influence in government. The court case lives in infamy today, but few people know much about the actual people involved. I suspect Scott and Taney never imagined they would play such powerful roles in our great American story. It is reported that Dred Scott was originally named “Sam” but took the name of an older brother when that brother died at a young age. Scott was born into slavery in Virginia around 1800 (birth dates for slaves were often unrecorded), and made his way westward with his master, Peter Blow. By 1830, Scott was living in St. Louis, still a slave to Blow. He was sold to Army doctor John Emerson in 1831 and accompanied him to his various postings — including stations in Illinois and the Wisconsin Territory (what is now Minnesota). Broadside for a reward for fugitive slaves George, Jefferson, Esther, and Amanda, January 20, 1840. Collection of the Smithsonian National Museum of African American History and Culture, Gift from the Liljenquist Family Collection. Object 2011.51.17. In 1836, Scott married Harriett Robinson. Reports vary on whether she was a slave of Emerson's prior to the marriage or Emerson purchased her from another military officer after she and Scott had fallen in love. The series of events underscored the painful and difficult lives slaves led. Love, like everything else, was subject to the vagaries of their owners' dispositions. Emerson died in 1843, leaving the Scott family to his wife, Irene. Three years later, Scott tried to buy his freedom, but to no avail. Scott's only recourse was to file suit against Mrs. Emerson. He did so on April 6, 1846, and the case went to a Missouri court the following year. He would lose this case, but win on appeal in 1850. Emerson won her appeal in 1852, and shortly afterward gave the Scotts to her son, John Sanford, a legal resident of New York. Because two states were now involved, Scott's appeal was filed in federal court in 1854 under the case name of Dred Scott v. John Sanford, the name that came before Taney in 1857. History is filled with dramatic and strange twists of irony and fate. Those factors can be found throughout Scott's battle for freedom. Peter Blow's sons, childhood friends of Scott's, paid his legal fees. Irene Emerson had remarried in 1850. Her new husband, Massachusetts Congressman Calvin Chaffee, was anti-slavery. Following Taney's ruling, the now-Mrs. Calvin Chaffee, took possession of Dred, Harriett and their two daughters and either sold or simply returned the family to the Blows. In turn, the Blows freed the Scotts in May, 1857. Dred Scott, a man whose name is so deeply-rooted in our history, so linked to the war that would end slavery, would die just five months later of tuberculosis. However, he died a free man.